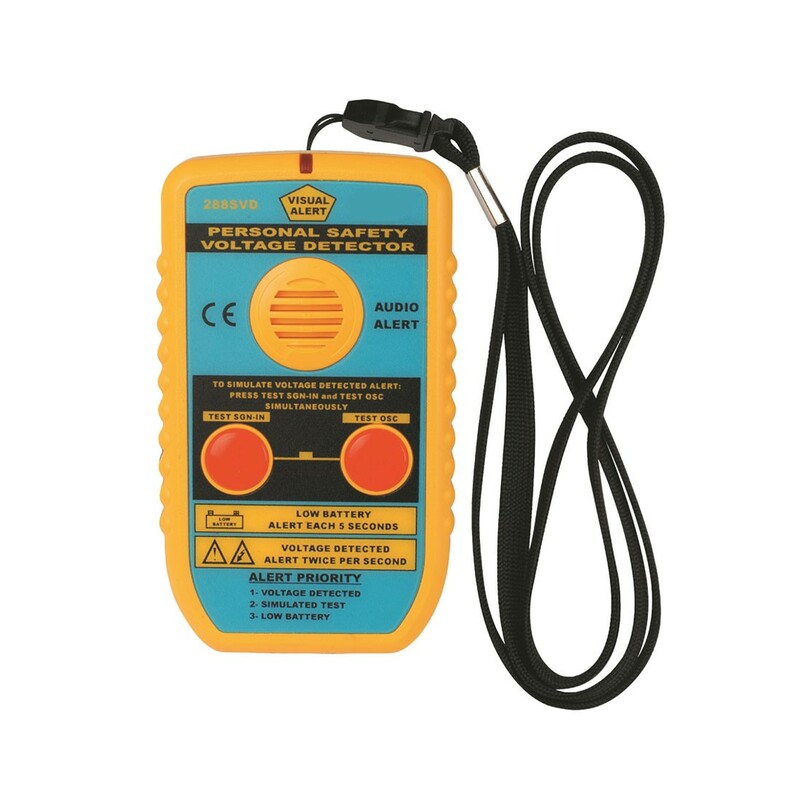 The H288SVD Body-Prox Personal Safety Voltage Proximity Detector is designed to alert a user that they are approaching live or energized equipment where dangerous voltage is present. Notification is given by a loud buzzer the beeps and flashing LED at a rate of twice per second. Power is provided by a 9V alkaline battery that gives you months of battery life and indication that the battery level is low by beeping every five seconds. The product is an ideal safety device for utility, industrial, or personal rescue employees that must respond in unknown conditions. It is waterproof and can be work on a belt with the built in clip or around the neck with the lanyard. The H288SVD detects radiated voltage using an sensor, osicillator, and adjustable threshold comparator. AC Voltage detection: 240V ~ 50kV. Easy-to-wear on body or belt. Different alerting sound & light. Dimension : 114(L) × 67(W) × 27(D) mm. Weight : Approx. 152g (battery included). Power supply : 9V(6F22) × 1.